If you’re a savvy web developer, you have definitely searched on Google for tools like “url decode json” or “convert json to text”. And what do you usually get? You get garbage websites filled with ads, popups, blinking download buttons and tools that don’t really work. The same problem was faced by Peter K. Rumins from Browserling. He decided to solve this problem once and for all by building a network of tools websites. These sites consist of thousands of simple tools that help to work with JSON, XML, CSV, YAML, PNG, JPG, Strings and even Mathematics. These tools are ads free, there are no configuration options and no ads. 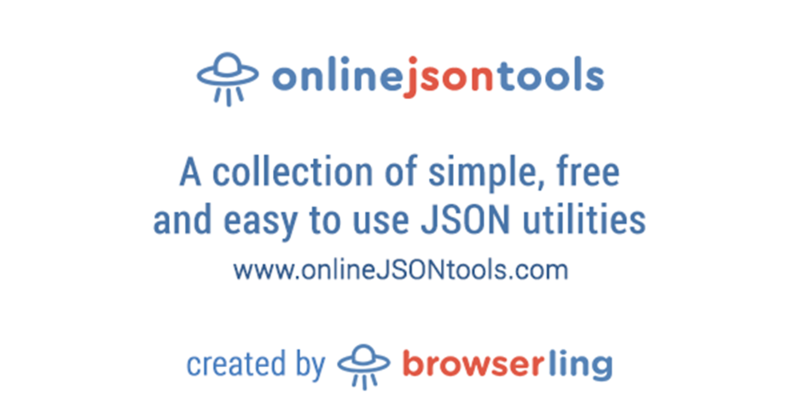 OnlineJSONtools.com is one such website in the network and it helps developers to work with JSON data structures in the browser. The tools are so easy to use that all you have to do is enter JSON input and you instantly get the result you are looking for. Below is the list of all the tools that are currently available. Apart from that Browserling team is constantly working to add more tools such as JSON to BSON. You can see strings, object values and keys are in yellow color, blue color for numerical values, white color for arrays and objects, and grey color for invisible special characters. Shows special characters, as in above example new line is represented by a “downstairs symbol”. It will care about your matching brackets, it also highlights matching brackets if the cursor is near one. It also shows the active line in gray color so that you can see more easily on which line the cursor is. It also tells user not only the line number where is the error but also what is the error by highlighting it as shown in below example. JSON Prettifier Tool: So here word “prettifier” itself describing this tool. This makes your JSON code well formatted with proper indentation. It will convert an ugly code to beautiful code. You can see from the above program the code in left block is not indented and not aligned but after using JSON prettifier it aligns the code in proper indentation and you can quickly understand it. We can also define by the “number of spaces” and “number of tabs” to indent output with spaces and with tabs as shown below. JSON Minifier Tool: It is a tool which removes all whitespaces and gives a JSON code that takes least space. It’s effective for transmitting less data and making faster web page load time. JSON Validator Tool: This is an important tool that let you write a valid JSON code. It will point out where is the error and tell the programmer what the error is. JSON Escaper Tool: JSON escaper helps the programmer to embed JSON in a string as it escapes all special symbols. So now you don’t need to worry about if you forget escape sequence code of any special character, because JSON escaper is here to help you. JSON Unescaper Tool: JSON unescaper just reverse of the JSON escaper. It will return you a valid JSON object from a string version of JSON object. JSON to XML Convertor Tool: This tool helps you to easily convert your JSON data into an XML documents and also allow us to make change in indentation for easier reading. XML to JSON Convertor Tool: This tool gives us a very easy solution of converting an XML data into JSON documents. JSON to YAML Convertor Tool: It let us convert our JSON structure to its equivalent YAML config file. YAML to JSON Convertor Tool: A reverse version of JSON to YAML that transpiles YAML data to JSON config. JSON to TSV Convertor Tool: The main feature of this tool is that it quickly converts our JSON code into text in tab separated values format. TSV to JSON Convertor Tool: This tool let us do reverse action of previous and convert TSV columns into JSON objects. JSON to CSV Convertor Tool: JSON to CSV convertor is similar to JSON to TSV but here the output is column separated values. 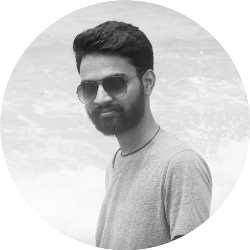 CSV to JSON Convertor Tool: This tool helps us convert CSV back to JSON in a just one click without installing any application or following any instructions. JSON to BSON Convertor Tool: This tool helps us to represent our JSON code in binary-encoded format. This increases the efficiency in binary applications. BSON to JSON Convertor Tool: It allow us to convert BSON, which is binary encoded JSON back to JSON format. JSON to Image Convertor Tool: It helps to transforms our JSON code into a JPEG, PNG, GIF, BMP image. It basically screenshots the JSON code and gives you back a downloadable image. JSON to Base64 Tool: It not only allows us to encode our JSON data to base64 code that’s used in webapps. Base64 to JSON Tool: Simple and easy tool that decodes base64 data back to JSON format. URL-encode JSON Tool: This is a fantastic tool that encodes our JSON objects into URL-encoding format by escaping all URL characters to percent-number-number format. URL-decode JSON Tool: This tool transform our data back to JSON format from URL-encoded data by unescaping all URL-encoded sequences to regular characters. JSON to Plain Text: The main feature of this tool is that it extracts plain text data from JSON code by removing all special JSON symbols and operators. JSON Editor Tool: It provides us a clear interface in the browser to edit JSON in syntax-highlighted editor. Display JSON Statistics: Provide statistics about JSON objects and their complexity. Flatten JSON: Flatten deep JSON structures into flat single depth objects. Obfuscate JSON: Convert JSON to unrecognizable but still valid data. Convert JSON to a HTML: Create HTML webpage from a JSON code. Convert JSON to a Bencode: Convert JSON objects to B-encoded data that’s used in bittorrent protocol. Convert JSON to a Latex Table: Create a Latex table code from a JSON data structure. Truncate JSON: Cut off excessively large JSON data and make JSON the required length. Convert JSON to Data URI: Encode JSON so that it can be used in URLs. Convert JSON To a PHP Array: Create PHP code from JSON code. Compare Two JSON Files: Compare two JSON files in the browser and find their differences. If you found JSON tools useful and you would like to have more tools and new JSON features then please tell us know by commenting below. I would like to thank whole Browserling team for building such handy online tools that is making the work easier for programmers like me and many others. A million and one thanks!